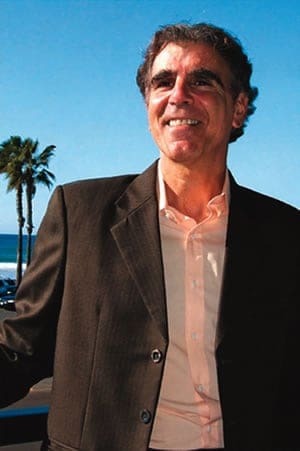 I wrote How To Sue A Telemarketer for all the good, kind and ordinary people of the world who simply want to have a quiet dinner, or a beer and watch a basketball game, without getting interrupted by someone who doesn’t give a damn about them, says Steve Ostrow, the books author and an attorney for over 30 years. Let me tell you about How to Sue a Telemarketer. Or, I could just say, Wow. Seriously. What an incredibly valuable book, chockfull of information. I was amazed. You”ll learn everything you need to know, step by step, to litigate a case. But, the beauty of it is it doesn’t read like a textbook. It’s not overwhelming, it’s not hard to get through, and it’s not hard to learn — or remember! What more could you ask for? How to Sue a Telemarketer is well worth reading. 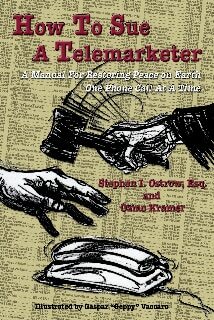 Even if you have no intention of taking a telemarketer to court, this book will arm you with the tools necessary to combat them if they call your house. Stephen Ostrow has a definite calling in the writing field. I hope he continues. company that hired them to go after the debt owed messed up and wrote our number down instead of this person that owed the money. it to them, so they kept hasseling us. filing a suit with the Federal Trade Commission. about this other persons debt. Trade Commission online related to telemarketers.